Egyptian President Abdel-Fattah El-Sisi issued Tuesday a decree forming the board of the National Electoral Commission (NEC), which will be in charge of supervising all national elections and referendums. El-Sisi's decree, which goes in line with articles 208, 209, and 210 of Egypt's 2014 constitution, states that the NEC's board will be chaired by deputy head of the Court of Cassation Lashin Ibrahim, and that Mahmoud El-Sherif, another deputy head of the court, will act as Ibrahim's deputy. The board will also include Mahmoud Abdel-Hamid and Yasser Ahmed El-Maabadi, who are heads of the courts of appeals in Cairo and Tanta; Ahmed Abdel-Halim Hassan Abboud and Faris Saad Handal from the State Council; Hani Mohamed Ali and Abdel-Sallam Ramadan from the State Cases Authority; and Mohamed Abu Deif Pasha Khalil and Khaled Youssef Ibrahim from the Administrative Prosecution Authority. According to Article 208 of the constitution, the NEC will be officially and exclusively mandated with supervising all elections – presidential, parliamentary and municipal – and referendums in Egypt. Article 208 states that the NEC's responsibilities will range from preparing the country's national voter lists, designating electoral districts, preparing the rules of campaigning and funding, supervising media coverage, facilitating voting operations, to announcing the final results. The NEC's head Ibrahim said in media statements on Tuesday that the NEC's members will meet on Wednesday to name the board's executive director. "This director, who will be a judge, should be approved by the president by decree," said Ibrahim, adding that "in its meeting on Wednesday, the NEC will also prepare for supervising a by-election in the district of Gerga, which is affiliated with Upper Egypt’s Sohag." Gerga's deputy in parliament Heracle Wefki died last summer and his seat has to be filled in a by-election. Article 209 of the constitution states that the board of the NEC should include 10 members; two from the Court of Cassation, the heads of two appeal courts, two deputy heads of the State Council, two deputy heads of the State Cases Authority, and two deputy heads of the Administrative Prosecution Authority. The article also states that the Higher Council for Judges will be the one responsible for naming members of the NEC's board, and that the board will have to be ratified by the president of the republic. The states that the NEC's terms in office will be six years, to be updated every three years. On 2 October, Minister of Parliamentary Affairs Omar Marawan said in an interview with Al-Ahram that members of the NEC, will soon meet to supervise a parliamentary by-election in Sohag before moving on to preparations for 2018's presidential election. Marawan also said that the NEC law, which was approved by parliament last July, states in Article 36 that the two commissions responsible for supervising presidential and parliamentary elections will be eliminated. "The creation of the NEC leads to an automatic elimination of what was once called the Presidential Election Commission and the Supreme Electoral Commission," said Marawan. 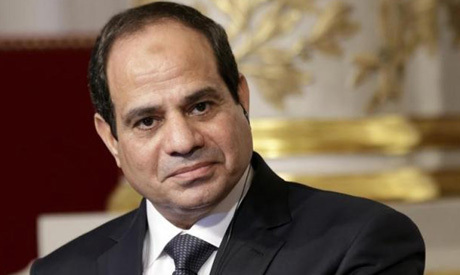 President El-Sisi's decree on Tuesday comes just one day after a number of MPs affiliated with parliament's national security and defence committee announced that they will call upon the president to run for a second four-year term in office. Egypt's presidential election is expected to be held in May or June 2018.